Medica offers easy-to-use, easy-to-maintain analyzers that are ideal for electrolyte analysis. The EasyLyte® and EasyElectrolytes™ analyzers are specifically designed for clinical laboratories, physicians’ offices, and critical-care settings that require low cost, high precision and accuracy, and ease of use. Modular analyzer and reagent designs make the EasyLyte and EasyElectrolytes analyzers easy to operate, maintain, and integrate in the lab workflow. Yes/no prompts ensure error-free operation and rapid training. Routine maintenance is limited to the replacement of a single reagent pack and electrodes, and a single pump tube, all of which are easily accessible. The analyzers calculate and store complete statistics for monthly quality-control results. 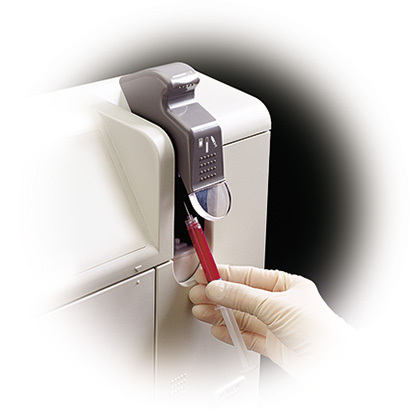 Samples can be analyzed from vacutainers, sample cups, capillaries, and syringes.